Just as selling is undergoing a transformation, so too is the science of measuring the value of our selling activity. 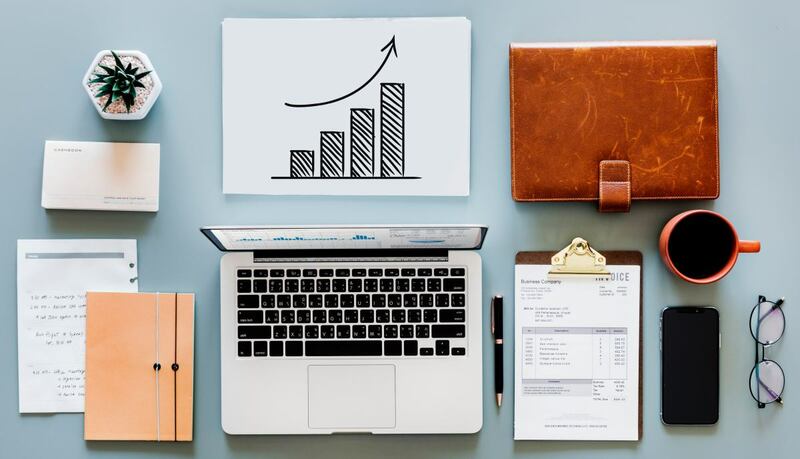 Demonstrating ROI on anything marketing-related has always been subjective and socially-focused sales and marketing activity is no different. Fundamentally, social selling works on a longer-term, slower-burn model where relationships are key. Interactions are built over time, through the seller focusing on bespoke content which truly serves their target. It should be no surprise, then, that measuring the return on this type of investment is convoluted, to say the least. The key to coming up with workable metrics is to move the focus of the measurement. You’ll have heard of ‘vanity metrics’? Those good old-fashioned numbers of followers, click rates, engagement metrics… well, they’re known as vanity metrics for a reason: they are totally focused on popularity rather than productivity. So, top tip #1: To achieve a true view of the value of our social selling activity, we need to move our focus from popularity to productivity; from activity to achievement. Clicks are still relevant, but we really want to measure clicks to our website by source channel, for example. This helps us understand how the type of content, and the platform it is on, is working for our audience. Are we engaging people? Are we engaging the right people? And are we engaging them at the right stage of their buyer journey? Email sign ups can also help us to understand who is simply browsing and who is genuinely interested in seeing more of what we do. These can also be tracked by source to understand where our audience is and when. Now for top tip #2: To deliver a high return on investment, become an all-round expert. These days, it’s no longer a case of fake it until you make it. 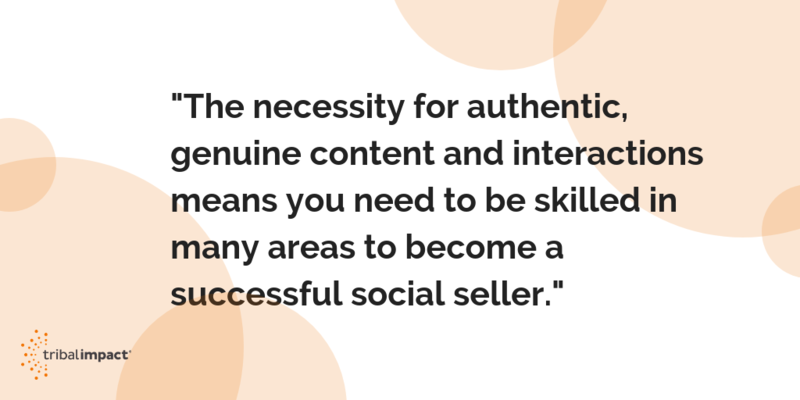 The necessity for authentic, genuine content and interactions means you need to be skilled in many areas to become a successful social seller. LinkedIn’s SSI score is made up of four behavioural categories: establishing your professional brand; finding the right people; engaging with insights; and building relationships. In order to score highly (and, therefore, become a social selling leader, destined to create 45% more opportunities and 51% more likely to reach your quota) you need to put the effort in on several fronts. You should have a professional profile with thought-leading content. You should be using search and research tools to identify the right prospects. You should be seeking and sharing conversation-worthy content and therefore establishing trust which strengthens your growing network. So, to achieve the lofty height of a social selling leader, we recommend continually learning and expanding your knowledge. Look for training on content curation and creation, seek out and amplify best practice examples of social behaviours. And, most importantly, be consistent. Pay attention to every element of each important relationship to ensure you are serving your contacts. Top Tip #3 takes this a stage further: Recognising behaviours is key to understanding the true definition of sales success. By demonstrating the right behaviours, as outlined in top tip #2, you will experience a growing network and greater, higher quality interactions with your connections. By following top tip #3, you’ll see that the knock-on effect of this is better metrics available for you to measure. For example, we may once have measured the number of calls made or the volume of appointments booked. Taking as behavioural angle on our activity pushes us towards valuing the detail of the relationship building much more than short-term outcomes. Good examples of the new metrics are inbound connections (ie people who have sought out an expert in your field, or received a referral for your services), network growth (which is therefore inevitable providing you are recognising the quality connections that come your way). It’s important to consider Followers as well as Connections. This is a population of people who are genuinely interested in what you are saying and doing. Use the data available to understand how they are interacting with your content – are they clicking through? Are they converting from a follower to a connection? It’s not just your own behaviours that need measuring, it’s the impact of them in terms of mirroring behaviours from your audience that will tell you how successful your investment of time and money is likely to be.